LPAI Diagnosed in Chippewa County MN. 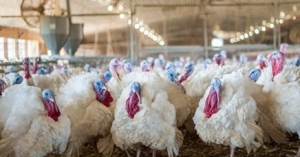 USDA-APHIS has announced confirmation of low-pathogenicity H5N2 in a turkey flock in Chippewa County, MN. It is presumed that the case will be treated the same as the previous outbreaks in Kandiyohi County that were subjected to quarantine and controlled depletion after demonstrating absence of shedding. Importers of poultry products are expected to impose limited regional restrictions in accordance with OIE protocols.